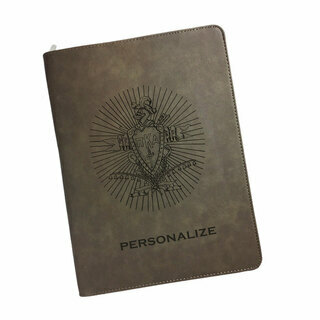 On the hunt for an impactful and classy Greek gift that will make your budget happy? 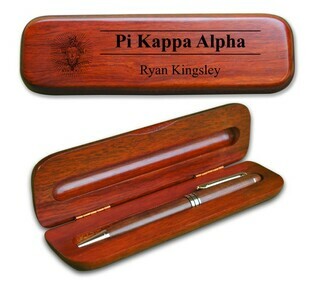 You'll get a really great value for your dollar when you buy Pi Kappa Alpha Desk and Office Items at GreekGear.com . 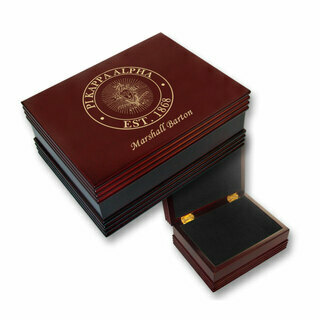 It's best to keep all of your most important small fraternity items, including pins, letters of acceptance and jewelry in one convenient place. If you don't, they can get misplaced very easily when moving from dorm to dorm. The Keepsake Box we sell is a good place, as is the Treasure Box. When it's time to pack up again, you'll know that all of the fraternity treasures you've collected over the past year are safe and sound. Motivational and success teachers will tell you how important it is for a business person to keep a writing journal handy. 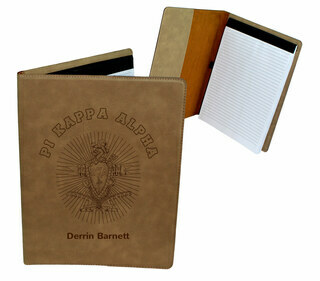 We have three options for you here: the Pi Kappa Alpha Classic Portfolio, Flag Portfolio and Leatherette Portfolio with Notepad. Keep one of these on your desk and fill it with all of your most precious and important thoughts while in school so that one day you can look back at it and be inspired. The Pi Kappa Alpha motto is "Once a Pike, Always a Pike." Have this unforgettable message inscribed on one of the beautiful Desk/Office Items we sell here. 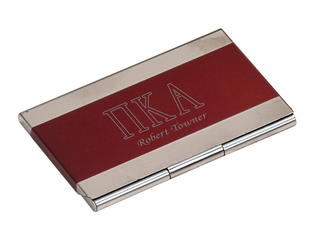 Pi Kappa Alpha Desk & Office ItemsThe Greatest Selection. Period.